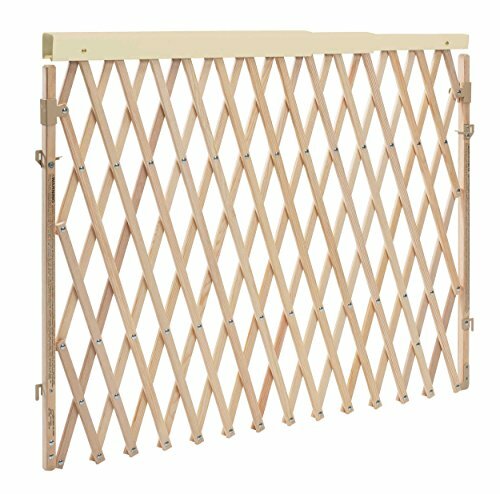 The Expansion Swing Wide gate helps parents keep their children safe from household dangers This gate can be used in a variety of openings because it is extra wide, but still has the ability to retract as its opens. Its four point hardware mounting is easy to install and because the gate swings in either direction, it is convenient for high traffic areas allowing for quick and easy pass through. The plastic telescoping safety rail also will keep fingers safe from pinching. If you have any questions about this product by Evenflo, contact us by completing and submitting the form below. If you are looking for a specif part number, please include it with your message.